Gluten-Free — MumbleBee Inc MumbleBee Inc. I was introduced to Simply7 Chips back in 2013 and as most of you know they are a large variety of of chips to choose from and all taste amazing! You can read both reviews for 2013 and the most recent for 2o14. Well now Simply7 has launched a new program called the Snack Squad! Members get a chance each month at winning a personalized Simply7 chip bag plus much more! I personally adored my customized bag. I was able to get my face on a bag of chips along with my name and a short bio on the chips I loved the most! The kids thought it was so awesome that mom was on a bag of chips. So Don’t forget to join Simply7’s Snack Squad and earn some pretty cool things! 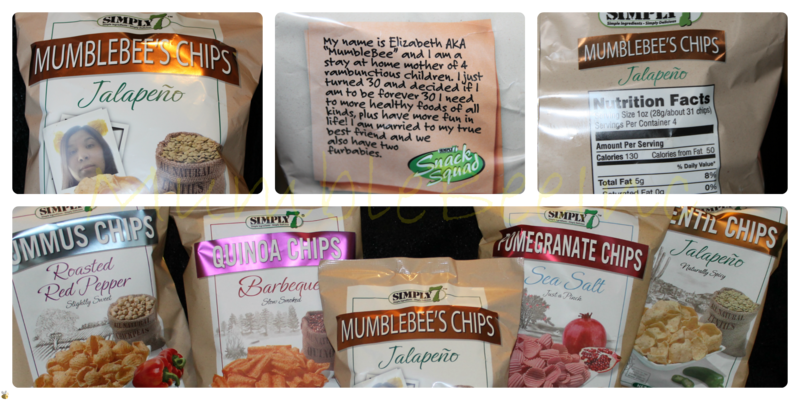 So scroll on down to find out how and when you can get your face on a bag of Simply7 Chips plus a few other flavors to try as well! Simply7 was created because of a distressing trend noticed in our local grocery stores: food made with ingredients that most people don’t recognize and can’t even pronounce. Over the years, we have learned to examine the nutritional content of foods (calories, fats, vitamins, etc. ), so why do we not scrutinize the ingredient labels on our food as well? Go to your pantry and see if your favorite products pass this test: Can you name the natural source of each ingredient? Do you know what you are really eating? Can you pronounce the ingredients on the label? The idea behind Simply7 was born because many of my favorite foods did not pass this test (and I suspect that many of yours don’t either). Simply7 was created on the ideals to makes sure that every ingredient in their products is not only natural but is SIMPLE. You should be able to identify the raw vegetable, fruit, grain, or legume the ingredients in their products come from. You don’t have a place in my pantry for healthy products that taste like cardboard, so they don’t expect you to have to sacrifice taste either. Simply7 took these principles and established the 7 core standards that our company stands behind. Hence, their Simply7 name. I have worked with Simply7 in the past and reviewed their entire line of chips back in March 2013 the review can be found HERE. We enjoyed every one of their flavors which came in Hummus, Lentil, and Pomegranate. Now they have added a new member to the Simply7 chip family call Quinoa Chips . What is Quinoa you may ask well let me tell you about it. Quinoa (/ˈkiːnwɑː/ or /kɨˈnoʊ.ə/, Spanish: quinua, from Quechua: kinwa), a species of goosefoot (Chenopodium), is a grain crop grown primarily for its edible seeds. It is a pseudocereal rather than a true cereal, as it is not a member of the true grass family. As a chenopod, quinoa is closely related to species such as beetroots, spinach and tumbleweeds. It is high in protein, lacks gluten, and is tolerant of dry soil. Quinoa was important to the diet of pre-Columbian Andean civilizations. Quinoa has been called a superfood. Protein content is very high for a cereal/pseudo-cereal (14% by mass), yet not as high as most beans and legumes. Quinoa’s protein content per 100 calories is higher than brown rice, potatoes, barley and millet, but is less than wild rice and oats. Nutritional evaluations of Quinoa indicate that it is a source of complete protein. 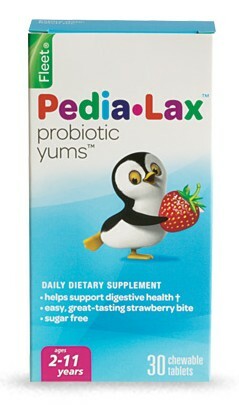 Furthermore, it is a good source of dietary fiber and phosphorus and is high in magnesium and iron. Quinoa is also a source of calcium, and thus is useful for vegans and those who are lactose intolerant. Quinoa is gluten-free and considered easy to digest. Because of all these characteristics, Quinoa is being considered a possible crop in NASA’s Controlled Ecological Life Support System for long-duration human occupied spaceflights. All of their Quinoa Chip flavors are designed to deliver all the flavor and nutrients of the ancient super grain Quinoa and come in four flavors such as Sea Salt, Barbecue, Cheddar and Sour Cream & Onion. I will admit the Cheddar was my favorite hands down but, they were all good and husband favored the Barbecue. What makes them even better is that there is no greasy feeling or taste as they are baked. So no napkins will be needed unless your dipping your chips. So here is the fun part now YOU have the chance to try the new Quinoa line from Simply7! Just continue to read below on how to enter. All prizing is provided by Simply7 . Giveaway open to U.S. only! Simply7 Quinoa Chip Event ends on 5/1/14 at 11:59pm CST. To enter please use the Rafflecopter form below. Calling all chef’s and anyone who loves to cook! Crunchmaster®wants you to submit a Gluten Free Recipe MONTHLY! 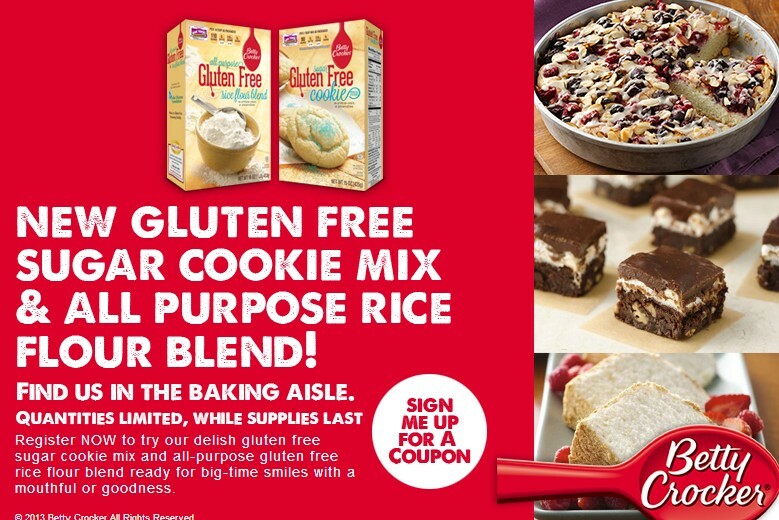 They are offering a monthly Gluten Free Recipe Challenge through April 2014 and you can win CASH!! To get you motivated to create and submit a monthly recipe to Crunchmaster,® they are offering two lucky readers a 6 pack sampler, so look for the Rafflecopter below to enter! The best thing is that the winners can pick which 6 products they want!! Monthly Prizes of $500 and $250 will be Awarded plus $2,500 Grand Prize for the best submission. LOVES PARK, Ill., December 11, 2013 – Crunchmaster®, America’s #1 selling brand of gluten free crackers, kicked off a monthly recipe challenge on Monday, Nov. 18. The six-month competition seeks the best original, gluten free recipes from chefs across the country. Crunchmaster will award monthly prizes of $500 and $250, and a grand prize of $2,500 for the best recipe submission. All winning recipes will be featured in a unique Crunchmaster cookbook. Home chefs are encouraged to develop and submit several recipes throughout the six-month recipe challenge. In addition to including a Crunchmaster product, each recipe submission must include a secret ingredient that Crunchmaster will announce each month at Facebook.com/Crunchmaster. The secret ingredient for November was apples. The secret ingredient for December is Greek Yogurt. Check to see what January’s secret ingredient is! A judging panel will identify the winning recipes. After verifying submissions are gluten free, the panel will prepare the top recipes and score each based on specific criteria including simplicity, creativity and flavor to identify the monthly winners and runners-up. Chef Jim Faretta will be selecting the top recipes and preparing them at the end of the contest. Simplicity – recipe is easy to prepare with readily available ingredients and clear directions. Creativity – the secret ingredient and a Crunchmaster product are well incorporated and the recipe is out of the ordinary using ingredients in a unique way. Flavor – final product is a great-tasting, gluten free dish. Monthly winners will receive $500 cash and runners-up will receive $250. After all of the monthly winners and runners-up are selected, the winning recipes will be posted on the Crunchmaster Facebook page where consumers will be able to vote for their favorite one. The recipe with the most votes will win the $2,500 grand prize. For the complete official rules click here. Crunchmaster® is offering two lucky readers a 6 pack sampler! The best thing is that the winners can pick which 6 products they want!! About Crunchmaster and TH Foods, Inc.
Crunchmaster® is a registered trademark of TH Foods, Inc. Headquartered in Loves Park, Ill., TH Foods is a leading manufacturer in the natural snack food industry. The company was founded in 1984 and joined with Mitsubishi International Corporation and Kameda Seika (the leading producer of rice crackers in Japan) as a joint venture in 1989. TH Foods strives to bring innovative, authentic “Better for You” balanced nutrition, rice-based crackers and snacks to North America. For more information, visit www.crunchmaster.com or Facebook.com/Crunchmaster. Disclaimer: MumbleBeeInc and the participating bloggers were not compensated for this post. We are not associated with any of the companies named above. No purchase is necessary to enter. One entrant per household. Void where prohibited by law. The odds of winning are based on the number of entries received. Confirmed Winner(s) (by Random.org) will be contacted by email. Winner(s) have 48 hours to respond before a new winner is chosen. The sponsor(s) will be responsible for product shipment to winner(s) of this giveaway. My Blog is not responsible for product shipment/delivery. This event is in no way administered, sponsored, or endorsed by, or associated with, Facebook and/or Twitter, Google, Pinterest. This Giveaway disclosure is done in accordance with the Federal Trade Commission 10 CFR, Part 255 Guides Concerning the Use of Endorsements and Testimonials in Advertising. TasteGuru – Gluten Free Food Club – 2 Months Free! Limit one (1) sample per household. Good for the first 25,000 entries! Your coupon will arrive in about 4 weeks after submitting the form.